Two Days of pure Knowledge! 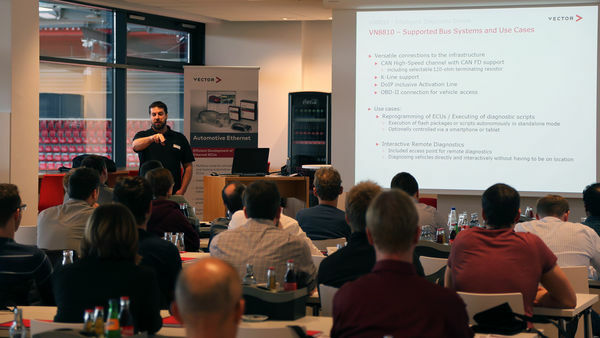 We are happy to offer you not only numerous lectures with practical know-how at our advanced TechDay, but also the opportunity to attend a HandsOn Workshop. HandsOn workshops are held by our experienced specialists. We provide a workplace for you to interact directly with the tool and gain experience. Advanced TechDays are designed to meet our customers' desire to gain a deeper technical insight in the form of practical examples and demonstrations of special work environments. With interface CANoe offers and how you can benefit from them: FDX, FMI, XIL, API, etc. Interested in development of ADAS functions?